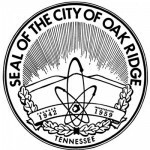 Smith and Mark Bialik, owner of GBS Engineering of Knoxville, presented information on the $25 million to $30 million project to the Oak Ridge Municipal Planning Commission during a Monday evening work session. They plan to present what is known as a planned unit development for the project to the Planning Commission this month. The market-rate apartment complex—which would include a pool, clubhouse, and fire pit area—could be made up of about 55 percent one-bedroom units and 45 percent two-bedroom units, with three to six three-bedroom units. The new apartments, tentatively called Main Street Apartments, will have garages and more one-bedroom units than Bristol Park or Centennial Village Apartments, project executives said. One-bedroom apartments could rent for between $870 and $910 per month, and two-bedroom units could rent for $1,100 and $1,200 per month. A new road would provide a connection through the property between Badger Avenue near Oak Ridge Associated Universities and the entrance and exit between Belk and Cinemark Tinseltown. The current main entrance to AMSE would be closed off, and Tulane Place would no longer cross the property. The site is expected to have a retention pond and green space. There has already been some development on part of the AMSE property, the southernmost area along South Illinois Avenue, where a Tire Discounters is being built. That 7.44-acre part of the site is owned by TN Oak Ridge Illinois LLC after previously being owned by the U.S. Department of Energy before being transferred to the City of Oak Ridge and then to the developer. Other development in the area could include a restaurant and grocery store, Oak Ridge Today has previously reported. The redevelopment of the former AMSE property is affiliated with Main Street Oak Ridge and its developer, RealtyLink, and TN Oak Ridge Illinois LLC. The remaining 11.14 acres on the northern part of the former AMSE property are owned by the City of Oak Ridge but are expected to be transferred later.